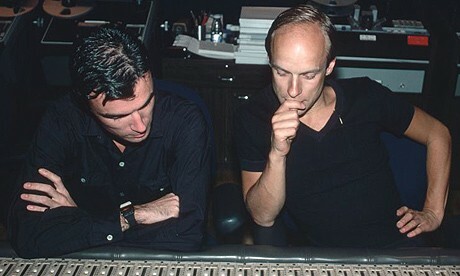 Byrne and Eno’s 1981 collaboration was considered a ground breaking record, but Getintothis’ Jono Podmore questions how ethical the project’s dabbling with African, Jamaican and Middle Eastern sampling really was. My Life in the Bush of Ghosts is the title of a book by Nigerian novelist Amos Tutuola. It has become a classic of African literature and tells the story of a young boy’s time spent among spirits in the bush and his attempts to get back to his family; like an African Alice in Wonderland with the contrast, brightness and colour all set to 11. Published in 1954 it was in the 80’s still quite a rare and “exotic” book in the West. So rare and exotic that a pair of white, wealthy, middle class musicians decided to use the title for an album, happy in the knowledge that they weren’t infringing anyone’s intellectual property rights. This was 1981 after all, and the album they produced is perhaps the most confused, confusing and beloved of 80s albums. Even a superficial listen brings up conflicting global issues well beyond its remit as a reasonably low budget pop record, and it’s always worth having another listen. The central concept of the album My Life in the Bush of Ghosts by Brian Eno and David Byrne (1981) is quite simply appropriation. The band that had been put together for touring the Talking Heads album Fear of Music, and which was about to be in the studio to record Remain in Light were brought in to provide funky backing tracks. Already, from a contemporary look at these issues, we have a minefield of rights and morals concerning the composers getting musicians to jam, then sending them home and claiming their work as their own. But it’s the next step that really defines this album and is its coup de grace. Instead of a traditional lead singer or vocalist of any sort, Byrne and Eno elected to use voices recorded from other sources: commercial recordings of Arabic singers, radio disc jockeys, even an exorcist. Found objects, or in current parlance, samples. Stuff “nicked” from other musicians, artists and speakers; from poorer societies and exotic cultures. Cultural appropriation in its most complete, imperial form. Even more impressive, the appropriation itself is appropriated. Holger Czukay is a little less than shy when it comes to pronouncing himself the inventor of sampling with his piece Boat Woman Song. We would like to go as far as to confer on Mr. Brian Peter George St. John le Baptiste de la Salle Eno for this and other works in the field of music and visual art the honorary title of: Father of the Appropriation of Appropriation. 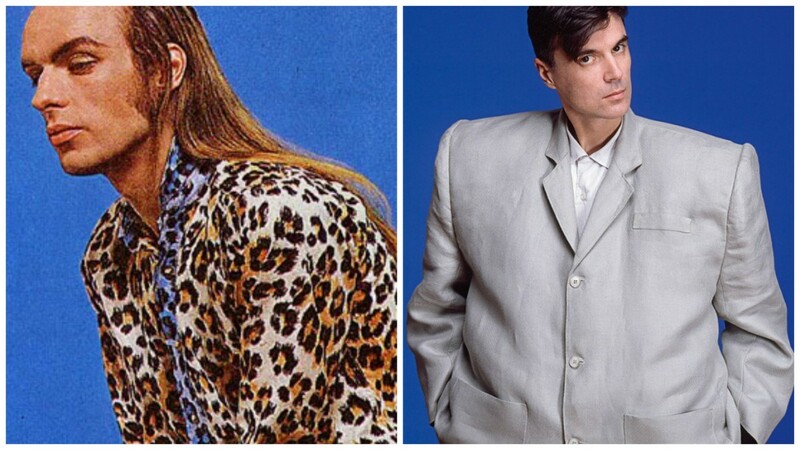 Talking Heads’ Remain in Light – same as it ever was: incredible. Read Getintothis’ Will Neville‘s retrospective look back at a masterpiece. To complete the imperial package holiday, Eno referred to the album as an “African psychedelic vision”, obviously in an attempt to open up a sideline writing copy for the Sub-Saharan tourist board. In an interview with Sounds he continued with this simplistic, touristic approach, referring to “…the interface between primitive and futuristic”. Really, Brian? Are the natives getting restless as they wait for you to enlighten them as to their role in your future? Nevertheless, and against the spirit of our more enlightened times, I’d say this album is a case of appropriation gone right. After the last few paragraphs you might be surprised to see this, but I think this is one of the finest and most far-reachingly influential albums of the last few decades. The sheer arrogance, the chutzpah of the thing means it broke boundaries and opened up new territory, and not just in music. The first African book I ever read was My Life in the Bush of Ghosts – because the album had introduced the title to me. Before long I was reading Ben Okri. Interestingly, Eno and Byrne hadn’t read the book before they named the album so perhaps even their own trajectories have been informed by this happily light fingered approach to titles. Today Byrne even runs a label – Luakabop that is dedicated to bringing Brazilian, Cuban and African music to a wider audience. The Africaness of the album is actually part of a fashion, which reached its zenith with an African summer in 1983. Every goth with a guitar and a chorus pedal was suddenly wearing African print shirts and learning to play African style clean guitar licks. The mainstream wasn’t far behind and soon white people playing convincing pastiches of African music were storming up the charts. King Sunny Ade’s Synchro System was on heavy rotation and interest in Hugh Masekela and Fela Kuti was gathering pace. Mandela, the apartheid system, the death of Steve Biko, and famine in Ethiopia sparked an interest that led eventually to Live Aid in ’85 and then the controversy surrounding Paul Simon’s Graceland album in ’86. But linking this album with the fashionable 80’s interest in all things African is a bit of a smoke screen promoted by the artists themselves. A close listen reveals that this album is actually all about African America – albeit with the odd adventure into the Middle East. Perhaps that’s why Public Enemy‘s Hank Shocklee cited My Life in the Bush of Ghosts as one of the roots of hip-hop – and therefore of so much of contemporary world popular culture. The musicians were by and large white but the style is rooted in African American forms of funk, replete with thumb slapping bass and the sound world of George Clinton. There’s no rock drum sounds, no wailing guitar solos. And then there are the “found voices”. Of the 10 tracks on the original release, there are 9 vocals and 6 of them are American, and at least half of them are clearly African American voices. None are African. There’s a sense of selling American culture back to itself as exotica. A slight change of context, a touch of “African psychedelic vision” and the picture we get is a Pynchonesque world, a filmic unreality directed by Wim Wenders featuring Harry Dean Stanton as a sweaty southern preacher, Hunter S Thompson as a chaotic and vicious radio presenter being hunted by Pam Grier as the conflicted private detective and gospel singer, as squadrons of Starfighters fly overhead, the CIA hiding behind the cactus and the tumbleweed. This is the world of Repo Man, of The Right Stuff…. This writer treasured a cassette from this period that got me through many long journeys; Wall of Voodoo, Kurt Weil songs and My Life in the Bush of Ghosts. The album is comfortably at home among the Americana and classic songwriting. By contrast my cassette of Synchro System had Herbie Hancock and early Streetsounds Electro on the other side. Sonically, this album still sounds incredible. It jumps out the speakers at you. The technology of this period is seen now in professional audio circles as some sort of pinnacle in technical achievement. Essentially it’s an early hybrid: digital control and treatments combined with analogue recording, mix and working method. Perfect. By ‘81 digital technology had got as far as a few kb of memory and some wonderful effects like harmonising and the huge chorusy reverbs which are everywhere on this album, glorious and unabashed. But the sound quality and the performances are all solidly grounded in the analogue domain. Another favourite album from the period is a record of Sly and Robbie’s remix of Black Uhuru tracks called The Dub Factor. The same sound quality and technology, and importantly similar techniques. Throughout the Africanisation of My Life in the Bush of Ghosts in the press release and in the mind of journalists, no one noticed that a huge part of the character of the album comes from dub, from Jamaican approaches to studio technology and mixing. Using the studio as an instrument, searching for and recording moments of serendipity. Africa, African America, and Americana, Jamaica so where do all these Middle Eastern voices fit in to this album? The influence of the Arab world is actually far greater on the final artefact that anything directly African. Regiment, The Carrier and A Secret Life are all dominated by Islamic voices and melodies – and then there is the missing track: entitled, sensitively, Qur’an. So even in 2006, after 9/11, during the Iraq and Afghan wars with largely American colonial interests driving them, Byrne’s cultural sensitivity was still somehow in development. Needless to say, there wasn’t a track on the album called Bible or Torah. Maybe the interest in Islamic art is a presage of events yet to come in American and European life – a story that still has many more chapters unread. A mutual relationship of love, fascination, disgust and complete misunderstanding producing enough friction to ignite entire continents: the tiny sparks of which we see as works of art like this. And perhaps as the American gunner is skimming in his helicopter across the dunes of Iraq or Syria or Libya or wherever next the war spreads, he happens upon The Carrier on his mp3 player, perhaps enough empathy will be triggered in him to save at least one life. The voice of another naïve artist? Well, that’s why we do it. At heart I think that the quality of this artefact itself overshadows the political and cultural concerns about its origins. I’m aware this is dangerous territory. To apply my beloved Godwin’s law to this position we would overlook the crimes of the Third Reich on the basis it gave us the Volkswagen and the Parka. But that’s just it – this is not a political movement or a military operation, only a work of art. Eno and Byrne were merely blundering their way into making a beautiful collection of tunes. No more and no less. Despite the apparent conscious ignorance of its creators, despite their colonial privilege, there are moments of profound cross-cultural beauty on this album. It takes its place among the other masterpieces of that peculiarly 20th century technique of collage. Picasso, Ives, Respighi, Tchaikovsky, Schwitters, the turntablists, Burroughs… meet Byrne and Eno. If you look at those artist’s work the lines get more blurred and the moral picture more complex. When is appropriation playing homage? Why is it so bad? Is it appropriation when artists from poor backgrounds or oppressed racial groups take the artefacts and techniques of the millionaire artists of the rich world and bend them to their own uses? In my conversations with musicologists over the years on these issues the lines are drawn along solely economic grounds. The artists and record companies of the first world have the resources to defend their rights, the poor do not. The “2 Unknown Traditional Singers From Vietnam” of Boat Woman Song doubtless went to their graves unaware their voices are scoring endless hits on YouTube every day, and if they did they wouldn’t be able to sue Holger Czukay anyway. Borrowing, reference, and collage are fair play among equals, but perhaps deeply questionable between rich and poor. Also depth and quality of thought in using material not self-generated is important. At best you have a respectful integration of cultures and method leading to valuable new material. At worst you have tourism and exploitation. To make that judgement involves taking each case separately, any blanket decisions will always be challenged by the next album to come along. Yes – there is a background of direct theft, of imperialism, of colonialism behind My Life in the Bush of Ghosts. But there has to be a case for quality, for bringing the art of other cultures into the mainstream, and for the validity of art beyond the important, but ultimately mundane, social restraints of respect and decency. This album makes that case, over and over again.